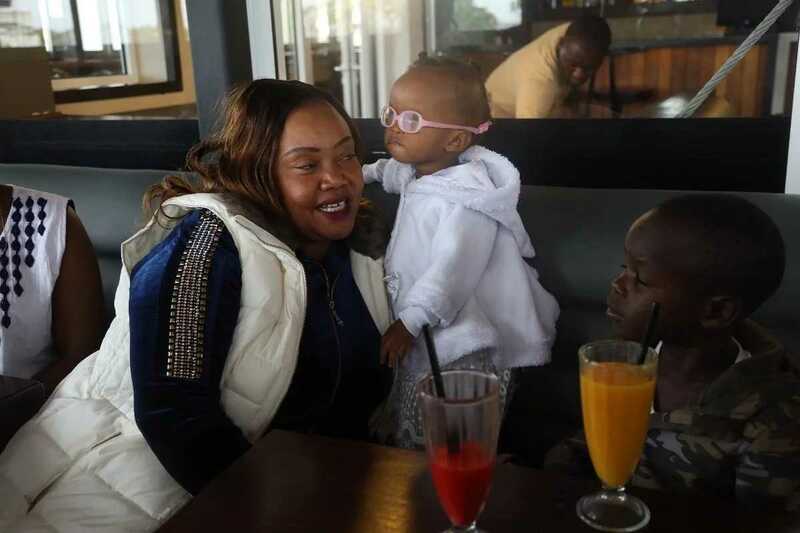 It was a weekend filled with blessings for Baby Kyla who had traveled to India courtesy of Governor Mike Sonko where she underwent successful eye surgery. 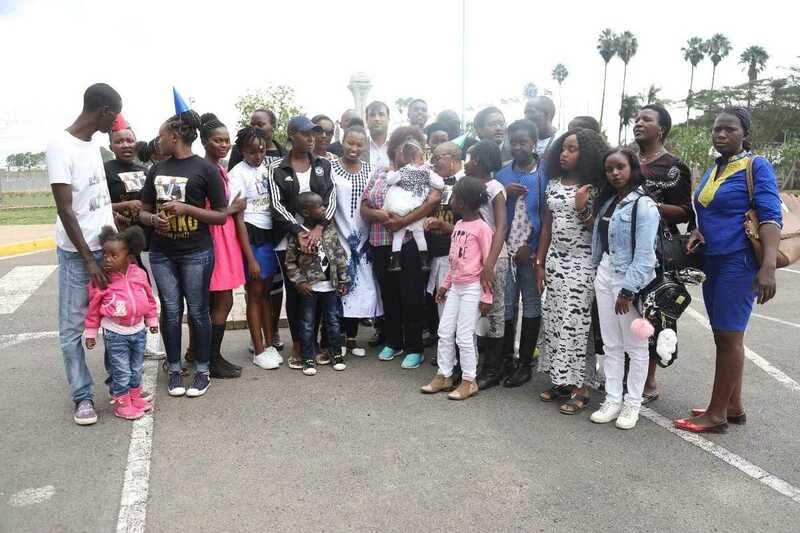 The 19-month-old baby girl was received by her family accompanied by Sonko’s wife, county first lady Saumu Mbuvi, at the Jomo Kenyatta International Airport (JKIA) on Saturday March 17. Baby Kyla jetted back to the country from India where she had undergone cornea surgery to restore her vision. Taking to his twitter account, Sonko broke the exciting news to Kenyans and gave thanks to God for the operation that went smoothly without any hiccups. 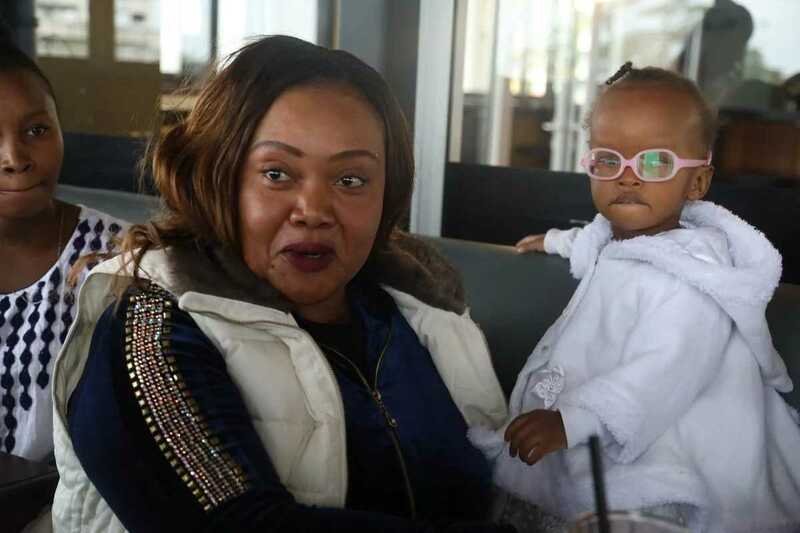 "We give God all the glory for Baby Kyla who has now regained her full vision and she's now back after undergoing a successful eye surgery in India," Sonko said. Sonko, who was touched by Kyla’s story vowed to help Kyla regain her eyesight. Linda thanked her mother for being constantly by her side giving her hope and was also extremely grateful to Sonko for helping her baby see again. 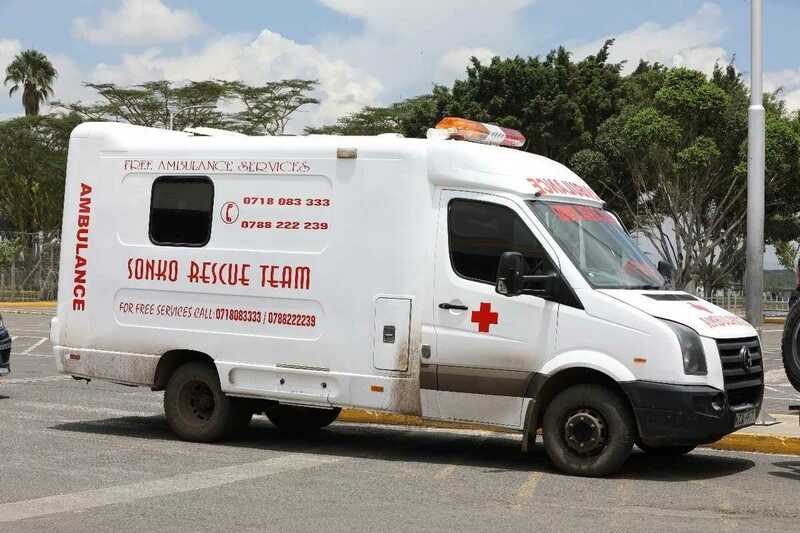 “I’m grateful to Sonko and I’m grateful to the government for helping me” an overjoyed Mama Kyla told Sonko rescue team while tears of joy streamed down her cheeks. According to Fayaz Khan, Chief Ophthalmologist at Lions Sight-first Eye Hospital, Kyla's blindness was due to her eyes having no clear demarcation line between sclera and the interior segment.